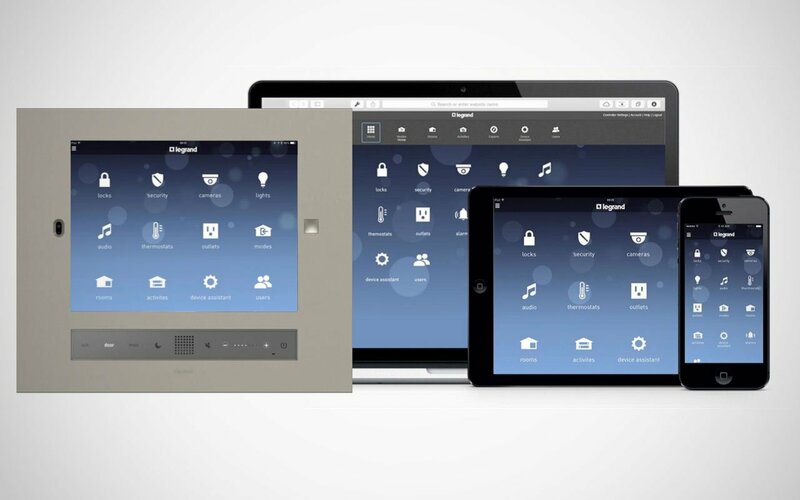 Intuity 2.0 is the only complete home automation platform designed for mid-market as well as high-end homes. The system provides a cost-effective, modular, repeatable, and affordable solution for controlling entertainment, security, and comfort within a home. Its benefits can best be summarized by market position, features, repeatability, and reliability. The immediate wide acceptance of the system among a growing list of homebuilders and installers provides irrefutable proof of concept backed by a strong product development program. The system is housed inside a structured wiring enclosure and works with Legrand’s own subsystems, including its On-Q IP cameras, video door entry and intercom, RFLC lighting systems, and its multi-room digital audio system that supports networked content and online streaming services. 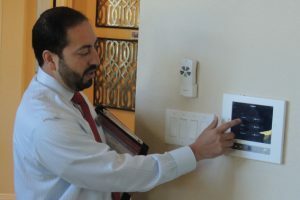 It also offers seamless integration of market-leading, third party components, including thermostats from Nest, Honeywell and Trane, digital door locks from Schlage, Kwikset and Yale, garage door openers from Linear, home security systems from Honeywell and GE/Interlogix and Aeotec’s Z-Wave Range Extender. Users can operate all aspects of the Intuity 2.0 system from any iOS or Android mobile device with the Intuity control app, as well as from any laptop or computer and the wall-mounted, iPad mini-driven Command Center.